adopted a short while later in March and is now one happy and relaxed cat. Her new family are pretty happy too. 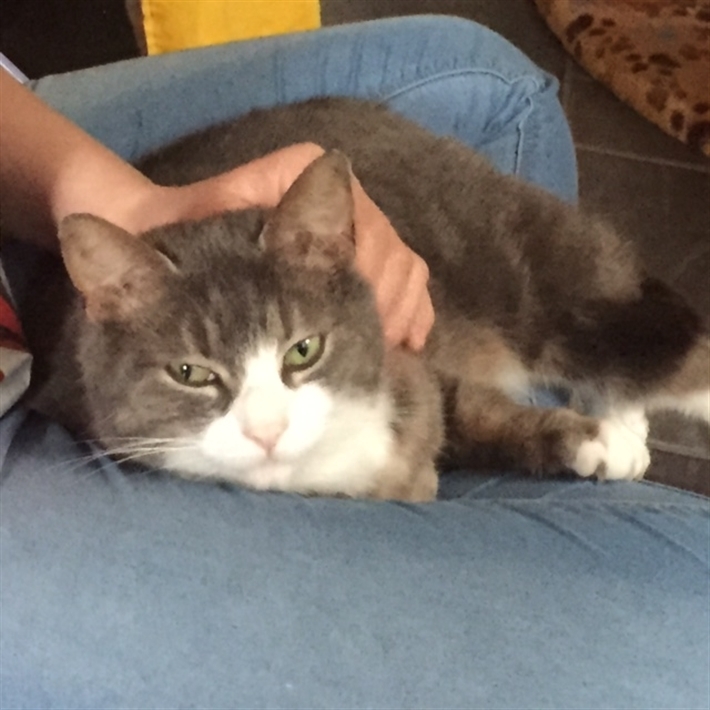 Nicky sent us some lovely photo's of Dusty (in March) and said "Just to let you know Dusty has settled in very well and being spoilt rotten. 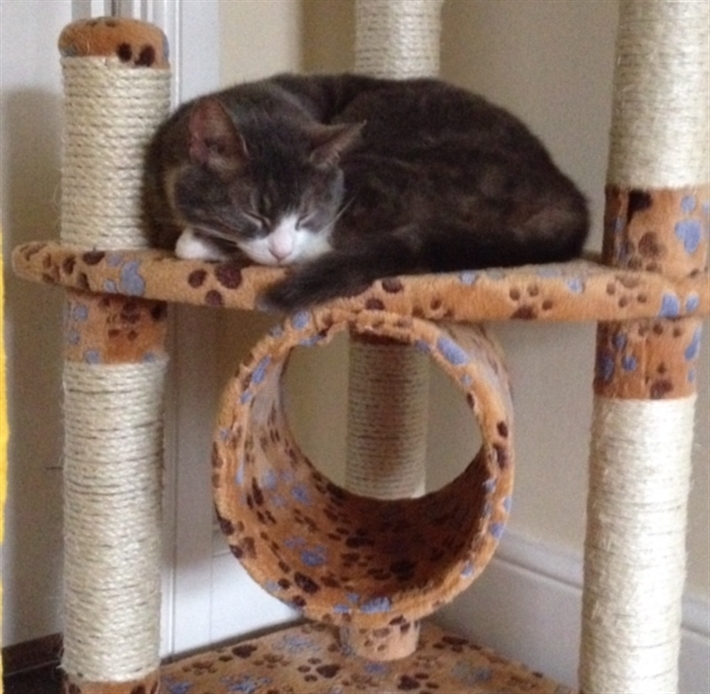 We are so pleased with her she is amazing and thank you and gosport cat protection for letting us adopt dusty. Changed our lives in such a positive way. She is very happy."